As a point of fact there are a few elements that are required for all life. Oxygen, water, sodium, potassium, and it would be very difficult to argue with number five which is iodine. Iodine was once in our breads, soils, air, and salts. Iodine rich atmospheres along the coastlines combined with sunshine and all the minerals in the ocean are some of the reasons we feel so good around the beaches. Iodine, much like anything else that is inherently good for us has been demonized by the mainstream of information, at some point one must begin to wonder why. Even the World Health Organization issues warnings, however discreetly, about the necessity for this miracle and crucial nutrient. The Lancet noted: “According to World Health Organization, in 2007, nearly 2 billion individuals had insufficient iodine intake, a third being of school age.” A conclusion was made that the single most preventable cause of intellectual disability is that of iodine deficiency. Intellectual disability is synonymous to mental retardation. Know also there is a tremendous amount of evidences and reports that show a direct relationship between iodine deficiency and breast cancers. 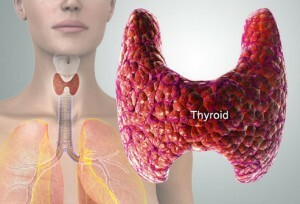 The breast tissue, aside from the thyroid gland should contain the greatest concentration of iodine in the human body. And of course it was the great Paracelsus whom was known to first associate goitrous parents as a result of iodine deficiency, with that of birthing mentally disabled children. Given the highly toxic state most people find themselves in, the rapidly changing environment which we live in, and the incredible ability that iodine has to strengthen people’s health and improve their lives, I decided to write the following summary about iodine supplementation as an introduction to the subject. The information presented here is based on preliminary research available on this forum discussion thread on iodine and on the books Iodine: Why You Need It, Why You Can’t Live Without It (5th Edition) by Dr. Brownstein, and The Iodine Crisis by Lynne Farrow. The broad cross-section of conditions improved thanks to iodine supplementation is a big clue to the nutrient’s importance and widespread deficiency. According to Lynne Farrow, author of The Iodine Crisis, iodine’s medicinal use dates back 15,000 years. It was the first treatment of choice in the 19th century for tumors and aggressive diseases of obscure origin. Farrow also argues that the notion that refined iodized salt is sufficient to meet our daily needs has been the most dangerous misconception about iodine. According to Farrow’s and Brownstein’s research, only 10% of the iodine in salt gets absorbed, at best. Most people today avoid refined salts due to health concerns, and due to the misconception that salt (of any kind) is bad for cardiovascular health. Iodine’s RDA is 150mcg (micrograms, which equals 0.15mg), an established calculation based on how much iodine the thyroid gland needs to avoid goiter. Other organs’ requirements aren’t factored into this number. In addition to that, the effects of widespread iodine-blocking pollutants introduced during the last century were never considered in this calculation. Even if you manage to consume some four pounds of fresh seafood daily in order to meet your iodine requirement, you can’t live in a clean bubble on this planet. The Fukushima nuclear plant disaster alone is likely to have contaminated much of the world’s seaweed, an important source of dietary iodine. Then there are the 2,053 nuclear explosions conducted all over the world from the 1940s to the 1990s, and more recently the depleted uranium munitions used in America’s wars. Let’s not forget about Chernobyl either. According to Dr. Guy E. Abraham, ‘medical iodophobia’ – the unwarranted fear of using and recommending inorganic, non-radioactive iodine/iodide – may have caused more human misery and death than both World Wars combined by preventing meaningful clinical research in the daily amount of iodine needed for optimal physical and mental health. Whoever told us that thyroid function was so important and could be one of the keys to good health? Abraham was one of the world’s leading researchers on iodine, suggesting that the required daily intake of iodine necessary for maintaining iodine sufficiency for the whole body was 13mg per day. At sufficiency, the thyroid gland holds a total of approximately 50mg of iodine. The thyroid gland needs approximately 6mg/day of iodine for sufficiency. The breasts need at least 5mg of iodine; that leaves 2mg of iodine for the rest of the body. Others suggest, based on Dr. Guy E. Abraham’s research, that healthy individuals need 1-3 mg/day as a maintenance dose. This is still well above the RDA of 150ug/day of iodine! Iodine does not cause hypothyroidism. On the contrary, the main thyroid hormones, T4 and T3, require enough iodine in order to be produced. When an individual is iodine-deficient, hypothyroidism results because there is not enough raw material to produce T4 and T3. Supplementing with iodine can improve or even heal hypothyroidism without the use of synthetic drugs. Moreover, research suggests that taking thyroid hormone when iodine deficiency is present can worsen the iodine deficiency as the body’s metabolic rate increases. Dr. Brownstein reports how taking thyroid hormone when iodine deficiency is present increases the risk of breast cancer and possibly other cancers as well. Anything that lowers the body’s iodine stores or increases the body’s need for it could be predicted to make things worse. Another misconception is that iodine is contraindicated in autoimmune thyroid diseases such as Grave’s disease and Hashimoto’s. In reality, it is those who are iodine-deficient who are at an increased risk of developing antibodies against the thyroid gland. Autoimmune disorders – including thyroid ones – are examples of excess oxidative stress in the body. Oxidative stress is inflammation in the body and it is akin to a fire burning. You can put the fire out with the appropriate “water”: anti-oxidants, unrefined salt, nutrients, an anti-inflammatory diet (gluten-free, non-GMO, moderated in carbohydrates AND with plenty of animal fat). People afflicted with autoimmune thyroid disorders need to take specific nutrients along with iodine in order to heal the damage done by so much oxidative stress and lack of iodine. “Does iodine therapy cause hyperthyroidism? l was taught in medical school that it did, especially in patients suffering from autoimmune thyroid disorders such as Graves’ or Hashimoto’s disease. Young doctors-in-training are still taught this today. So, let me answer the question: Very rarely. Between my partners and myself, we estimate that over 12 years, less than 10 patients out of thousands treated became hyperthyroid when treated with iodine. When I lecture to doctors, l tell them one particular condition can predispose to iodine-induced hyperthyroidism. This condition occurs in a patient who has an autonomously functioning nodule in their thyroid. Sometimes this is referred to as a hot nodule on a thyroid scan. An autonomously functioning nodule is not under the feedback control of the pituitary and the hypothalamus. It functions independently of the thyroid gland. When iodine is present, these nodules can take up the iodine and produce copious amounts of thyroid hormone leading to hyperthyroidism. 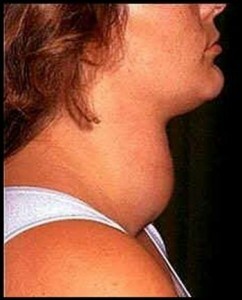 This condition can be diagnosed with a thyroid scan. However, it is most frequently diagnosed after a trial of iodine therapy is given and the patient becomes hyperthyroid after taking the first couple of doses. Given the pervasive misconceptions about such an extremely beneficial substance as iodine, one may wish to consider how greater knowledge and use of it may be purposefully suppressed. As has previously been observed and analyzed on Sott.net, there are numerous ways in which the Western allopathic approach to medicine has led so many individuals astray on the road to living a truly healthy life. Among those we’ve seen are the benefits of a low-carb, high animal fat diet, supplementation with vitamins and other vital nutrients, the modes and reasons for detoxification, etc. But given the huge amounts of money and power that Big Pharma and other health-related industries stand to make by actually keeping people in poor health, it is no wonder that so many of us still are! Still, at the end of the day, whether the ignorance of the larger modern medical community to employ iodine and other holistic healing approaches is due to simple ignorance, or more nefarious reasons, the fact is that now, in light of this invaluable information about iodine, we can choose to take responsibility for our own health with this powerhouse approach. But the choice is ours to make of course. Start with a single drop of lugol’s solution after breakfast and build up by one drop every three days until a balance of general well being is achieved. Starting with the lowest dose and building up while detox reactions are managed would be the reasonable thing to do. Avoid taking lugol after 4pm as it can energize and give insomnia if taken too late. Antimicrobial doses for lugol’s solution and potassium iodide are also discussed in the forum thread on iodine. Take vitamins B2 (riboflavin) and B3 (niacinamide) in order to stimulate the proper functioning of the NADPH system – this will help metabolize iodine properly, decrease the formation of damaging auto-antibodies and ensure enough energy production in the form of ATP. How much? 100mg of B2 and 500mg of B3 twice per day. Take antioxidants in order to decrease the fire of oxidative damage. Vitamin C 3-10 grams throughout the day. Take 3 grams of vitamin C at least one hour after your lugol dose, preferably two hours later. You can repeat the dose according to bowel tolerance if there are strong detox reactions triggered by the iodine. Avoid taking vitamin C after 4pm as it can give insomnia due to its energizing effects. Take magnesium, 300-600mg per day. Magnesium helps with detox reactions as it participates in +300 detox pathways in the body. Magnesium also acts against excess intracellular calcium levels which fuel oxidative stress. Magnesium glycinate is a favored one. Take selenium or L-selenomethionine 200mcg per day. Safe range: 100mcg-400mcg. Adequate selenium levels are necessary for regulating thyroid function and iodine metabolism. If selenium is deficient, autoimmune thyroid disorders can develop. Selenium is important for activating thyroid hormones and it decreases side effects of iodine therapy. Protect the liver. Take N-acetylcysteine (600-1200mg per day), alpha lipoic acid (200-600mg) or milk thistle. Drink enough water and take unrefined salted water in order to detoxify bromide. Chloride is an effective competitive inhibitor of toxic bromide and unrefined salt is sodium chloride. It is impossible to lower bromide compounds in the body if you don’t ingest unrefined salt, some 1-1.5 teaspoons per day. An adequate intake of unrefined salt in the body is also essential to minimize inflammatory oxidative stress. Take at least 1/4 teaspoon of unrefined salt in 8 oz. of water upon rising and at least twice a day. Make sure to take your lugol away from the salted water, at least 40 min-1 hour. “1/2 to 1 tsp of sea salt in a tall glass of water upon arising. 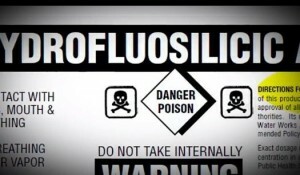 Lugol’s (start with lowest dose) after breakfast or meals, don’t take it after 4pm (it energizes you). 200 mg of B2 (riboflavin) per day. Can be taken in two doses with your lugols. 1000 mg of B3 (niacinamide) taken in two doses with lugols. 200 mcg selenium (not more!) ONCE a day with morning dose. 3 to 10 grams of vitamin C – divide into two doses taken an hour after lugols. 500 mg of magnesium – glycinate is excellent – taken at night. Symptoms of bromide toxicity can be present even with low levels of bromide in the diet. If there is an iodine deficiency, bromide toxicity is accelerated. Unfortunately, bromide toxicity is very common. It is used as an antibacterial agent for pools and hot tubs. It is also used in pesticides and in some medications. Bromide toxicity leads to thyroid problems including autoimmune ones. The body can eliminate bromide only when there is sufficient iodine available. In order to palliate these detox symptoms, make sure you drink enough salted water and take at least the recommended supplements listed above. You can do pulse-dosing iodine where you stop taking iodine for at least 48 hours to let your body and kidneys clear out the bromide. Notice that if the detox symptoms developed when you were increasing your iodine dose, you can always back off your dose to a lower one. If you have a FIR sauna blanket, you can use it in order to help detoxify any toxic mobilized by the iodine. This article does not constitute medical advice or serve as a substitute for doing your own research to acquire the appropriate knowledge on iodine therapy. It is our conclusion that widespread knowledge of the many benefits of iodine is being suppressed. Even if iodine is generally well known, it has now become clear how grossly undervalued it is and how little is known about its potential to transform human health. Iodine: Why You Need It, Why You Can’t Live Without It (5th Edition) by Dr. Brownstein. Iodine and Potassium Iodide thread, Cassiopaea forum. Which is the highest quality Iodine supplement? Great to see she is speaking about the Fukushima disaster in this article and the dangers of eating seafood now.